This video (posted Sept. 22, 2013) focuses on three economic drivers: 1) productivity growth, 2) the short term debt cycle and 3) the long term debt cycle. Bridgewater Associates is the largest hedge fund in the world and manages about $150 billion. 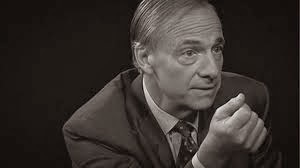 Ray Dalio’s net worth is about $13 billion. While other topics may be more engaging, this one has more impact than many others. Dalio does a good job presenting the material. Toward the end of his presentation, Dalio concedes that some policy makers do not understand this material very well.